*Note* I’ve made some new tattoos and learned some new tricks. I’ll be updating this soon. I’ve never been happy with the tattoo options in the sims. In TS2 of course most of the tattoos were tied to their outfits, but in TS3? Gah, the default options were atrocious! Who would want one of those tattoos? TS4’s defaults tattoos are better, kind of, but when I made my simself for the first time, I realized I wanted to add MY tattoo. To do that I needed to learn how to make custom content. I wasn’t ready back then. Opened gimp to make sure it still worked and that “save as dds” was now an option. Yay! After some more poking around I decide that choosing “Create a CAS Standalone” option was the correct option. I also now realize this mini-tutorial will probably be out of date after they change the interface again. Sigh. I clicked on the blue “CAS” buttton. I filtered the options down to > female: adult: tattoo section and then selected a tattoo and clicked next. (I picked the stars one). This prompted me to save a package file – which I did to my desktop. The tattoo then opens. 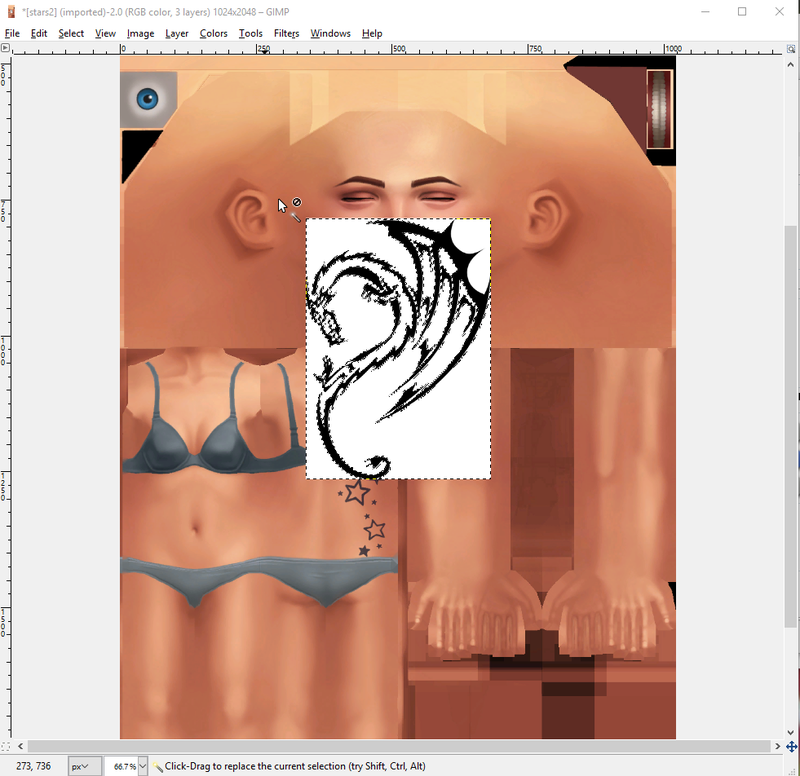 I’m supposed to “clone” the tattoo according to one tutorial. Luckily my other one said to “export” the texture. I click on that button. This time a .dds file is saved, also to my desktop. I try opening the .dds file with gimp. It fails – invalid file type – I panic. I try opening the file again now that gimp is already open – it works. I think perhaps I accidentally tried to open the .package file the first time so that was a user error. I’m supposed to add the body texture to the image. (Well there’s this bit about making the background black and such – but I ignored that…for now.) 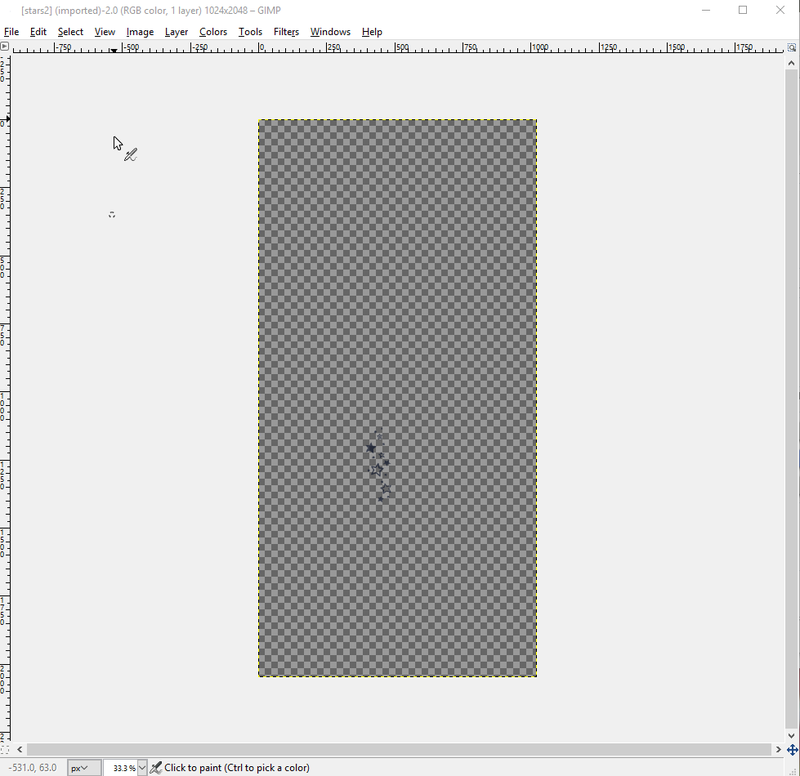 I drag the body texture file onto my workspace and it opens. After moving my layers around I see the tattoo on the body. This is starting to look up. I now regret I don’t actually have a scan yet of my back tattoo ready to go. I go to google and grab a random dragon image instead. Even more regret that I’ve just moved and have no idea where my drawings are…or where my scanner is. I add that dragon to my work space and realize I need to delete the white background. The background won’t delete. Back to google. Apparently I must add and “alpha channel” to delete the white. 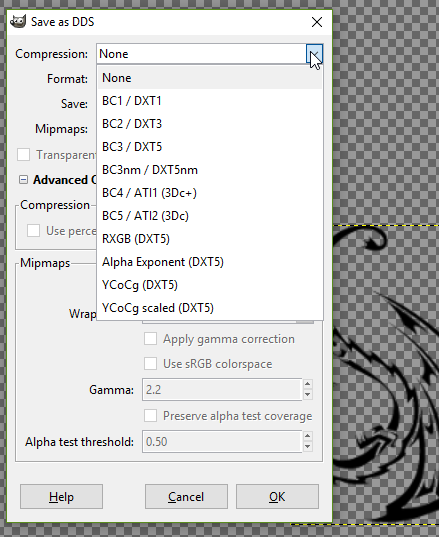 I right click on the layer and find “add alpha channel.” Then I up the threshold to 100.0 which gets rid of most of the white edging when I do click to delete the white. I flip and scale the layer with the dragon. It kind of matches mine? Well not really. There was a bunch of stuff about alpha channels and making a white tattoo that I think was just so that the edges didn’t have white? I kind of ignore that stuff. 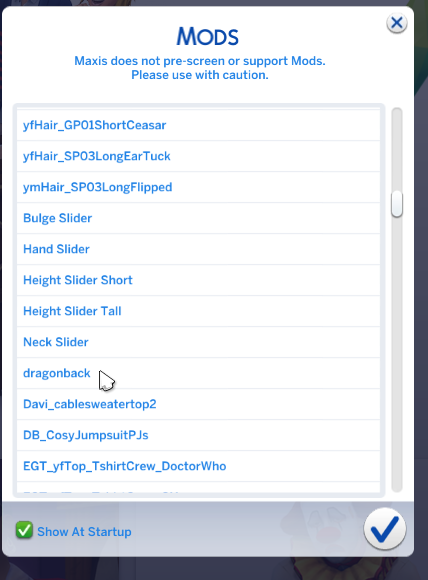 Instead I hide the non-dragon layers and export as a .ddsf file. Then, I clicked back over to S4S and press “Import” texture. And of course, not paying attention, means I fail. 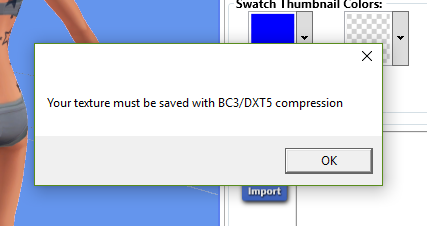 I can’t import it because I didn’t save it with a BC3/DXT5 compression…I hope that was an option? Over in S4S again, feeling more confident, I try and fail again…it only saved the size of the dragon – not the canvas. Googling and reading this, I learn way more about dds files that I knew before (which was nothing, so that wasn’t that much of a feat. However, I don’t learn what I need to know. 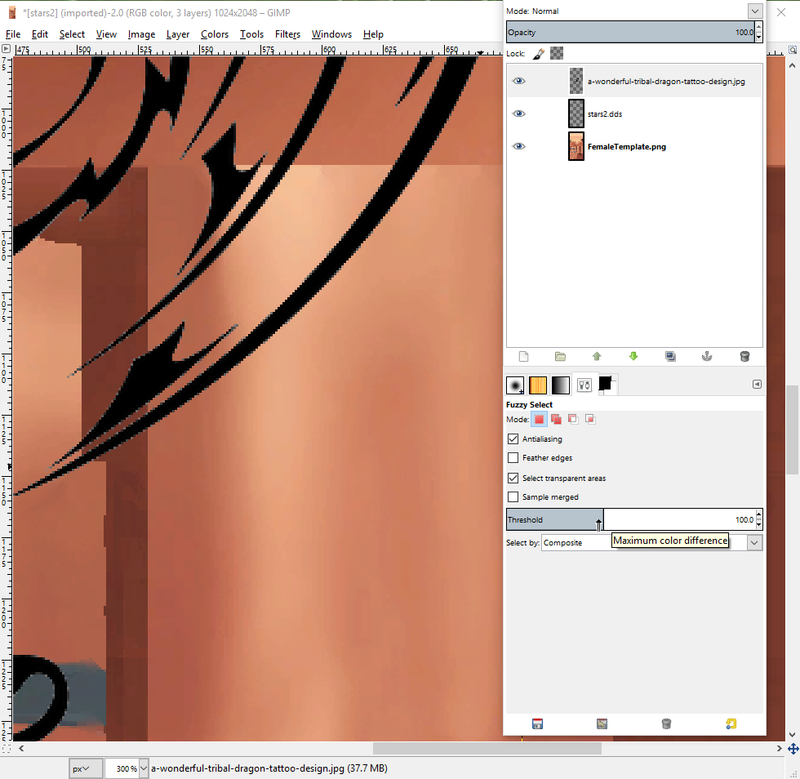 I realize the fix for this issue is much simpler and just resize the dragon tattoo layer to be the entire canvas…duh. I try again and voila! I am very genus. It looks like a tiny bit of my tattoo is being cut off by the shoulder, but that’s okay – if this was my tattoo I would care more, but this is just a test tattoo until I find the pictures to scan. I save the package. I open the game, fingers crossed and check my mods screen. (Yes, I have way too many mods now.) It’s there. I forget that my CAS background is a painful green screen color – the better to cut out the background for pictures – but it’s blindingly green. Sorry! Now I just have to finish unpacking and find my scanner and the original pictures of all my tattoos! At last, a mere 1 hour 10 minutes after I decided to do this, and several thousand google tabs and searches and downloads later, I have successfully mastered basic tattoo making. It was surprisingly “easy” except for the whole downloading all the things and looking everything up. Will you have some tats that will be put in multiple places? For instance, have one arm tat as an option on the left and right arm because there are ones defaulted to one side. Or put one tat for the arm but have it labeled as the back so as to put more tats on the arm? I have no idea of that is even possible but I’m curious about that. Ooh, good ideas! I’ll probably start off small, but it they’re fun, and they were last night, I’ll make some of my other drawings tattoos. Then I’ll def. want multiple placements! I know you can make multiple tattoos per arm and leg and such, I’ve seen it done, but I’m not sure how yet. It was a proof of concept and I’m so pleased with how it turned out! Thanks for reading! 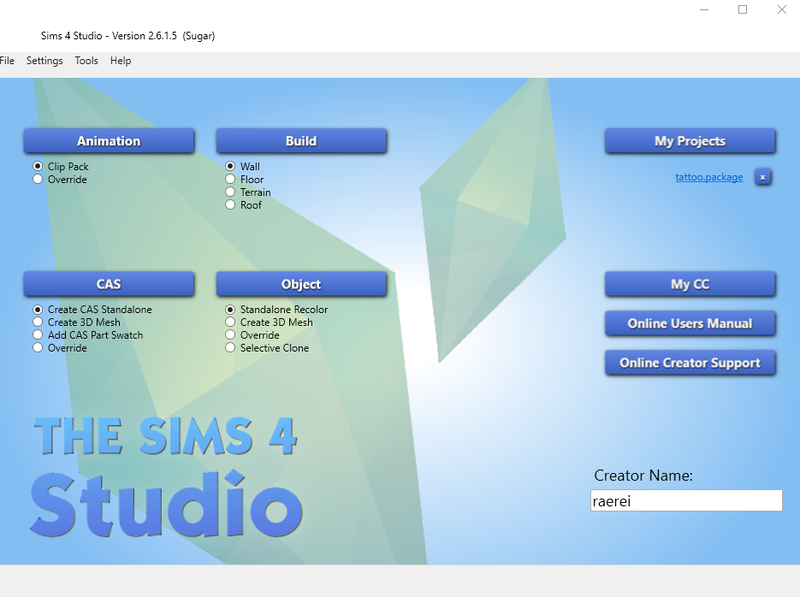 Did you grab the latest version of sims 4 studio? Mine allows me to use .png images so I didn’t have to download a plugin for GIMP. Unless there’s something different for tattoos, since I’ve never tried to make one of those before. I thought I did since I downloaded it yesterday. My instructions though said to do the dds. But they’re probably out of date … in fact I know they are. So I bet I could have used pngs but I didn’t know it. 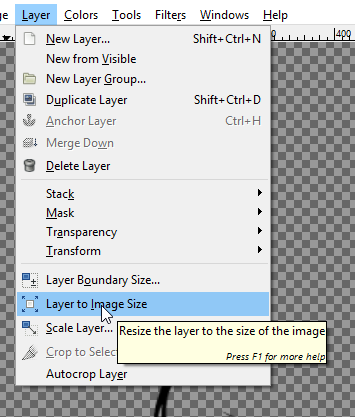 Then when you open it in GIMP you’ll get an extra box with some options in it that’ll pop up- just hit okay. Then the rest of it should be like that tutorial that you followed (except you’re using the newer version of s4s). Oooh. I shall have to try that! Ooh, that’s awesome! And yeah, the default Sims 3 tattoos are pretty awful for the most part. Though I do like some of them especially if one layers them on top of each other to make something more interesting. I never managed to find a decent layering effect – but I admit that I didn’t try too much. 😀 I’ll see what I can do. I actually have planned to give him one for actual exposition/story purposes, seeing how some of his tattoos are infused with protective charms and that needs to be explained at some point.